The Medical Missionaries of Mary. The association which was to become known as Apostolic Work. The Association has been graced from the outset by a galaxy of remarkable women. 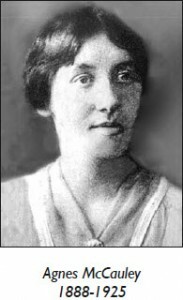 No doubt every diocese celebrates its own heroines of Apostolic Work, but we are focusing here on three dynamic and inspirational women – Agnes McCauley from Enniskillen, Mrs Mary McCall and Mrs Mary Nihill (Mrs McCall’s daughter) both from Belfast, who pioneered the foundation, organisation and expansion of the movement. foreshadowed the two-pronged objectives of Apostolic Work, in offering both spiritual and material assistance to others, especially those on the Missions. 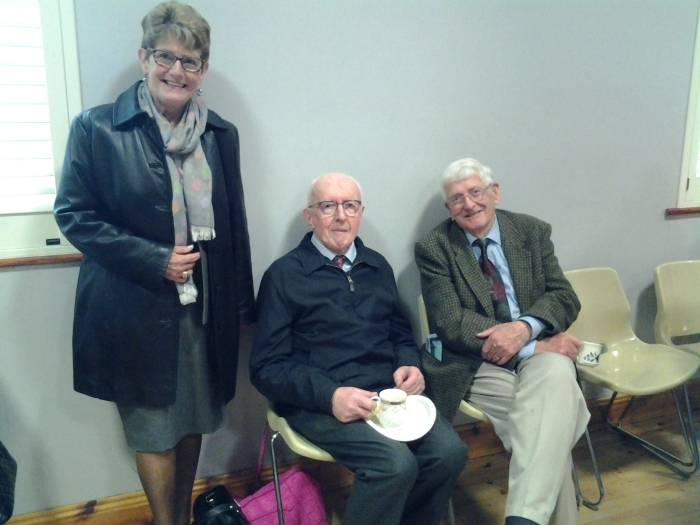 Her devotion to the Mass was extraordinary, as evidenced by the fact that she attended three Masses at the Redemptorist Monastery in Clonard before going to work every morning, and all Masses celebrated there on Sundays. She observed a strict fast on Wednesdays and Saturdays and bought flowers every week for the Marian altar. 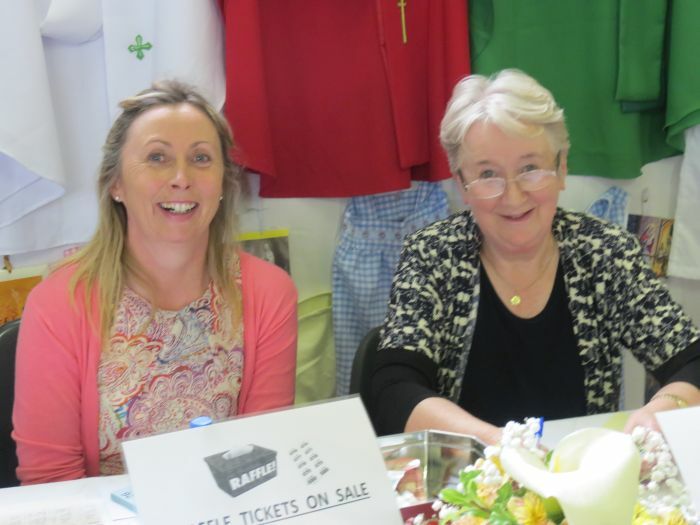 With the encouragement of Father Toal, her confessor, Agnes undertook the promotion of the sale of the magazines The Far East and African Missions, as well as other forms of fund-raising for the Missions. 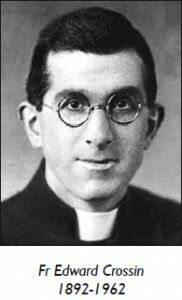 After the sudden death of Fr Toal in December 1922, Agnes’s efforts to support the Missions continued unabated. Such was her commitment and presumably, her powers of persuasion, that her own friends including various nuns and priests and even the bishop of Down and Connor, Dr MacRory, all rallied round to help her achieve her objectives, whether providing financial or material aid for the Missions. 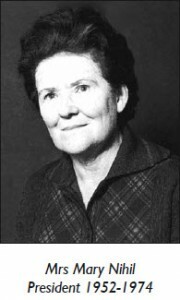 Examples of her work at this time include: providing vestments for Fr O’Connor, a missionary priest in Africa, helping a Franciscan nun, Mother Marcella, to finance the building of a leper hospital in Kamuli, Uganda, and setting up a £500 bursary for the education of students for the priesthood with the African Missionaries in Cork – now also in Dromantine, near Newry. 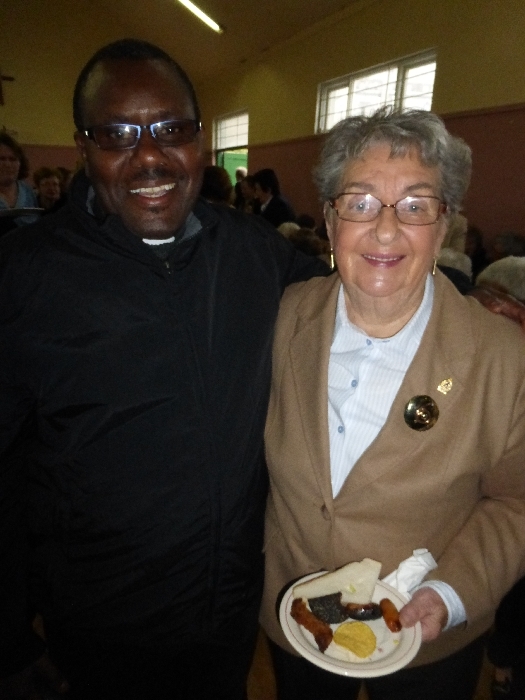 She had asked Fr Crossin of St Malachy’s College, her spiritual director, to secure the bishop’s approval for this project, which was secured when Bishop MacRory was blessing vestments made by the Sisters of Mercy, Sussex Place, for dispatch to the Missions in Africa. On 25 October 1923, ten girls from six different parishes met in the Belfast, with Fr Crossin presiding, declaring himself Chairman, Secretary and Treasurer, ‘Until we see whether or not you mean business’. By declaring this, Fr Crossin displayed how tentative was his approach to the project. After prayers and readings, the group discussed ways to raise money and collect gifts to help the missions. The formation of a club to train and support catechists to work on the missions was unanimously approved. 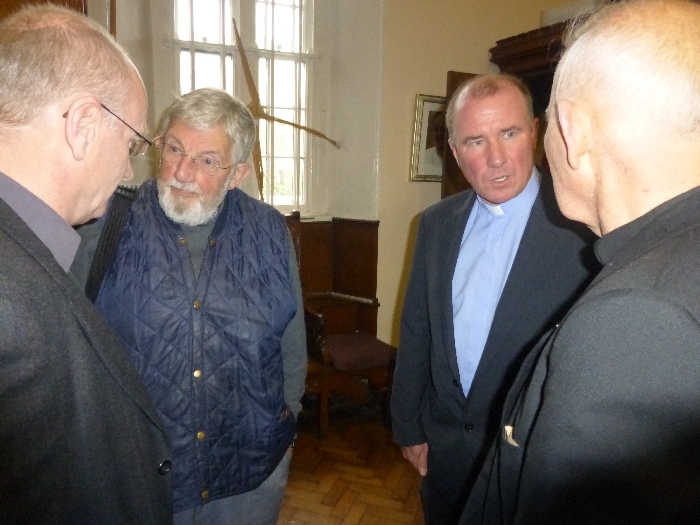 The second meeting was addressed by Fr Ross, a Mill Hill priest on leave from the missions in Uganda. His theme: ‘What is not good enough for God at home, is not good enough for him in Africa’, has endured as a policy of the Association to this day – only the best goods and materials are dispatched to the Missions. At this meeting, the Association was formally established, its aims laid out and its funding discussed. The aim of the Association was to offer prayers, Masses, Holy Communion, Holy Hours and other religious practices as spiritual gifts for the missions, as well as collecting and dispatching material gifts such as Mass-kits, sacred vessels, sets of vestments and other Church requirements, and money when requested. The Association’s funds were derived from donations, fundraising and from subscriptions of £1 a year from honorary members. The first Annual Report in November 1924, showed an income of £320. By October 1925, this had risen to £595, a considerable sum at a time when the annual income for a teacher was £310 for a man and £254 for a woman. 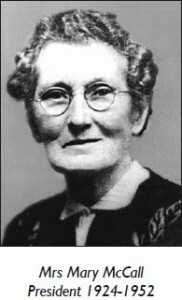 While the Association was still in its infancy, Agnes McCauley had to step down from the presidency, due to ill health. She suffered her illness with remarkable fortitude, even refusing pain relieving injections and choosing to endure the pain for the Missions. She died at the age of thirty-seven years, on the night of 23 December 1925. In response to a request from Fr Crossin, Mrs Mary McCall agreed on 6 May 1924, to accept the Presidency, telling him firmly: ‘This is a much greater work than you envisage.’ Her selection as President proved providential. A former teacher, her gifts were eminently suited to a budding association. Her tremendous organisational ability, dynamism and zeal, led to a remarkable growth in the spread of the Association and the deepening of its spirituality. Her obvious business acumen was counterbalanced by a gentle sense of humour and a capacity for enjoying the simple pleasures of life – reading, walking (often reciting the Rosary along the way) and the occasional evening at the cinema. Those who knew her said she brought warmth wherever she went. Ever conscious of members’ spiritual welfare, Mrs McCall arranged that they attend an enclosed retreat in August 1925 at St Mary’s Training College, Belfast. During this retreat, the women consecrated themselves and their work to the Blessed Virgin Mary. Within a year of Mrs McCall’s accession to the Presidency of the Association, new branches had been formed in Clonard and Ardoyne in Belfast as well as the first outside Belfast, in Ballymena. By 1926 twelve branches were functioning: six in Belfast and six in other parts of the country. 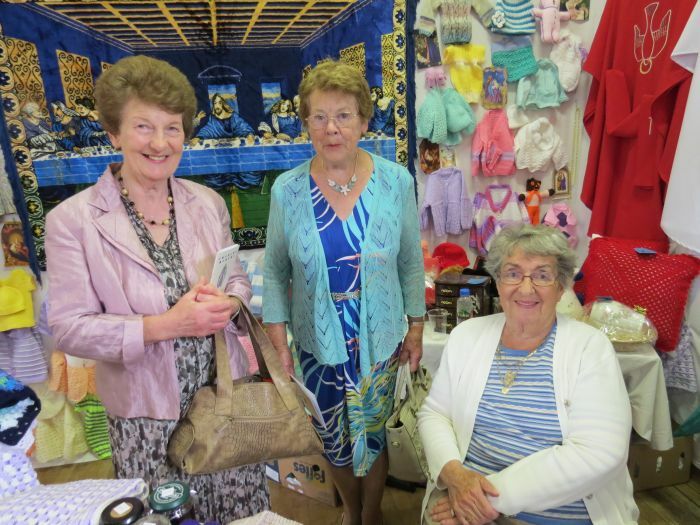 Displays were organised to promote Mission awareness in the parishes. Also many collections were held to support missionaries in their work Soon the need to centralise the administration of the Association became apparent. Centralisation involved the transfer of branch funds to a central bank account, bulk buying of material by the Executive Committee, at competitive prices and dispatch of goods to the Missions from the central office. It is a tribute to the foresight and tact of the President and to the spirit of the members that the changeover took place smoothly and efficiently during 1929. In November 1925, officers met to draw up rules for the Association. 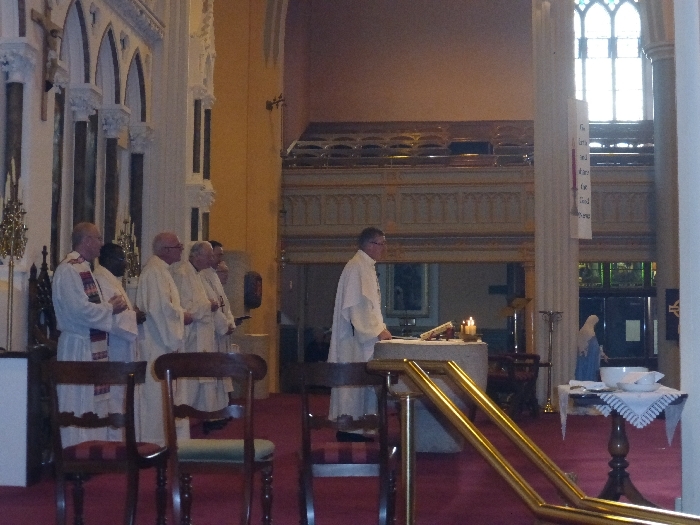 At the Bishop’s suggestion, two priests attended in an advisory capacity. aggregated to the Sacred Congregation for the Propagation of the Faith, now known as the Sacred Congregation for the Evangelisation of Peoples. The first Junior Branch of Apostolic Work was founded in St Peter’s Belfast in 1930. Mrs McCall continued in her role as President of Apostolic Work until her death on Mission Sunday 1952. Her passing was mourned not only by those who had the privilege of working closely with her, but also by missionaries the world over. Her love for the Missions, her desire to propagate the faith, her spirit of prayer and her courage remain an inspiration to the Association, even to the present day. Bishop Cahal B. Daly of Down and Connor, synthesised the accomplishments of the association in the words: ‘A great Irish women’s missionary force.’ The work is ongoing, continually trying to live up to that beautiful accolade.